Being a consultant who is also a physician, I sometimes have the opportunity to work on projects that might not happen if I didn’t wear both hats. This week I worked on a project that I never thought I’d be staffing – a comprehensive analysis of medical marijuana policy for a fairly large healthcare organization. I’m a year into an EHR consulting engagement with them as their independent “physician whisperer” to help physicians who are struggling with adoption, so I was surprised when they asked if I’d be interested in taking on another engagement on a different topic. I’m pretty sure I was pulled in so that the project could be done somewhat off the books, allowing someone who isn’t a stakeholder to pull the facts together so that the actual stakeholders can have a focused discussion of their options. The organization has a policy that prohibits its employed physicians from participating in the state’s medical marijuana program, but the leadership is under pressure by a subset of physicians to change its position. It’s similar work to what I did in the CMIO trenches and we wanted to research a new system or solution and determine what kinds of impact it would have on patients and providers. I had to dig into the people, process, and technology issues along with legal and regulatory ones. I am putting together pro/con documentation of the various risks and benefits along with cost modeling for implementation and support of this new service line. I’ve also done some reference calls with other organizations to see how they are handling and documenting medical cannabis in their practices. It made for some fun voicemails. “Hey there, it’s Jayne. Hope you’re having a good New Year. I’d like to grab 15 minutes on your schedule to talk about marijuana.” Not exactly a sentence I ever thought I’d be saying, but it’s been an interesting project. Since I’m mainly reaching out to informatics colleagues, they have ready access to data, which has been great. If their physicians participate, they can tell me how many recommendations, certifications, or referrals are being done over the course of a year and what conditions are most commonly being treated. It’s been great to get the objective data and not just talk about the policy piece. Overall, it seems that a very small number of organizations allow their employed physicians to be part of state medical cannabis programs. Most of the folks I’ve spoken to that work in organizations that permit it have had to customize their EHRs to some degree to support the workflow, which makes sense given the different programs and requirements in the states that allow medicinal use. One clinical informatics team is playing it both ways. The health system’s physicians aren’t allowed to refer for it, but the independent community physicians that are on the shared EHR platform have the autonomy to do what they want. That makes for some interesting permissions issues in the EHR. My informatics connections noted that there have also been concerns from patients about privacy issues and whether information about marijuana recommendations become part of the record that is transmitted to other physicians. That can be a grey area. In many states, drug use is considered sensitive information, but if it’s considered a medical treatment, that might fall outside the realm of a sensitive authorization and might be sent without a patient having the ability to restrict such sharing. Since I cast my research net pretty wide, I was surprised to learn that there is a robust niche for medical cannabis in the telehealth world. California, New York, and Nevada allow such visits to be done via telemedicine. One firm, PrestoDoctor, has conducted more than 50,000 appointments, with patients sending documentation from their local physician prior to an online consultation with one of its physicians. Pricing varies by state, from $49 in the Golden State to $139 in the Empire State. PrestoDoctor also sells various products and accessories on its website, including a bacon-flavored hemp extract for pets. I also learned that there are cannabis-specific EHRs, along with specialized billing systems since many cannabis practices are cash-only. Other practices use traditional practice management systems and submit regular office visit codes to insurers. There are plenty of specifics that have to be figured out. Since federal law still considers marijuana an illegal drug, states have developed mechanisms for physicians to “recommend” its use rather than prescribing it, or to “certify” a patient’s qualification under state law. Neither of those approaches fit nicely into the usual EHR’s selection of medication modules, durable medical equipment management, or referral / authorization workflows. States also have varying lists of qualifying conditions, and the small number of clients who might want cannabis content aren’t going to make it sensible for mainstream EHR vendors to support those workflows. I reached out to a couple of vendor friends to find out where medical cannabis might be on their EHR road maps, and the responses ranged from “what did you just say?” to outright hysterical laughter. Now that the research is largely complete, I will be spending a fair amount of time creating documentation for the discussions and making sure that I have answers to the questions that stakeholders are likely to ask. I will also be putting together the cost modeling to determine whether it makes financial sense to add the service, along with recommendations for technology and workflow changes that might be needed to support an implementation. I’d like to get permission to independently survey the physicians to determine what percentage would go through the process to be able to recommend medical marijuana, which would significantly impact the decision. I suspect that it’s a small vocal minority and that the majority of physicians aren’t at a place where they would want to do it, but the organization doesn’t want to get people agitated around the issue until it has more of a grasp on what it would entail. There’s clearly enough interest to engage a consultant and I’m not complaining about a bit of unexpected work during an unanticipated slow period. 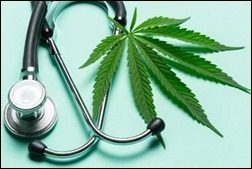 Does your organization allow physicians to participate in medical cannabis programs, and if so what solutions have you had to employ? Leave a comment or email me. Interesting and insightful piece as always, thank you! Working in a jurisdiction where cannabis is now legal for both medical and recreational purposes. My organization felt the need to send out a sternly worded message from HR, stating that employees cannot be under the influence during working hours.